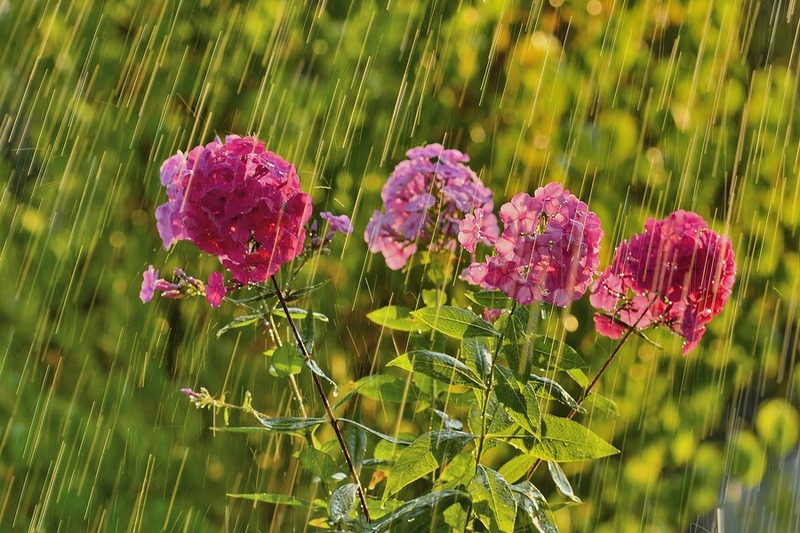 Plans to prune shrubs and plant seasonal flowers can fall to the wayside when it’s raining. While many people find the act of gardening enjoyable and often therapeutic, there are ways to scratch that itch when mother nature tries to keep us indoors. Remember to turn off irrigation when it rains as water conservation is still imperative until we receive some relief from the California drought. How long you do this for depends on the amount of rain received. A good rule of thumb is to wait until the first inch or two of soil is dry before turning irrigation back on again… provided that there isn’t more rain in the forecast. Let us explain. If you are planning to implement the water-wise technique of xeriscaping, which involves taking advantage of existing moisture in the yard, it’s important to note where water pools and which areas stay wet after the rain. This type of landscape strategy takes advantage of rainfall and because everyone has that spot of yard that never seems to dry out… it’s possible to have water-wise plants and thirsty ones if your natural environment permits both. With steady El Niño rains on the horizon, it’s also good to note if some areas require additional drainage which might be a matter of shifting the gradient a bit, mulching with something heavy like gravel or adding new drains. Keeping gardening tools in tip-top condition keeps allows them to perform at their best. It’s not likely something you do too often. 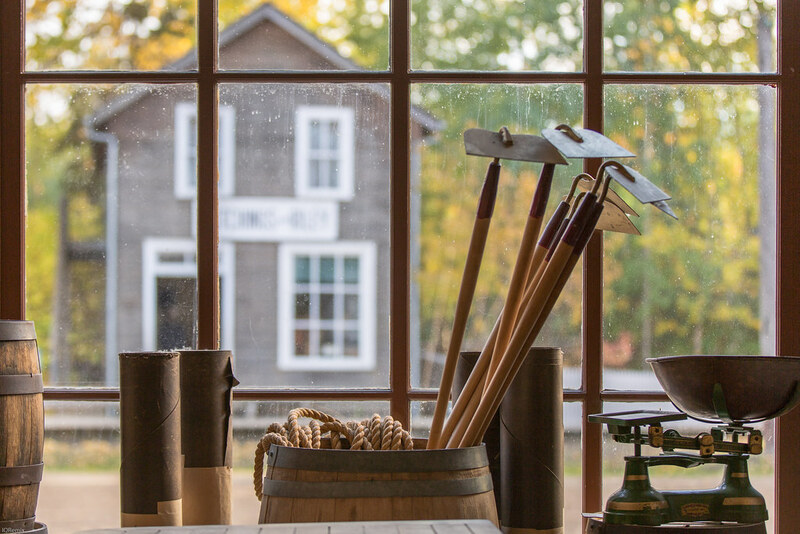 Use a rainy day to wipe down garden shovels, hoes, and rakes. Those with wooden handles could probably use a bit of oil to keep them from cracking and comfortable to hold. If big tools are in need of sharpening a mill file can be picked up at a home improvement store. Small hand-tools can be cleaned by a good wipe-down and brush to loosen dirt (it’s best to have these professionally sharpened, if necessary). We have a full guide regarding how to clean gardening tools for your reference. Bug houses or hotels are trending as ways to keep beneficial insects happy in the backyard. Beneficial insects keep the ecosystem balanced by eating harmful insects like aphids for lunch. It’s helpful to place these close to vegetable gardens and vulnerable spots. Repurposing old material is an excellent way to welcome bugs from pallets to old PVC pipe sawed into sections and padded with leaves, grass clippings, bark and other things bugs enjoy. Check our our guide to building DIY bug hotels. Have an empty shallow vase? 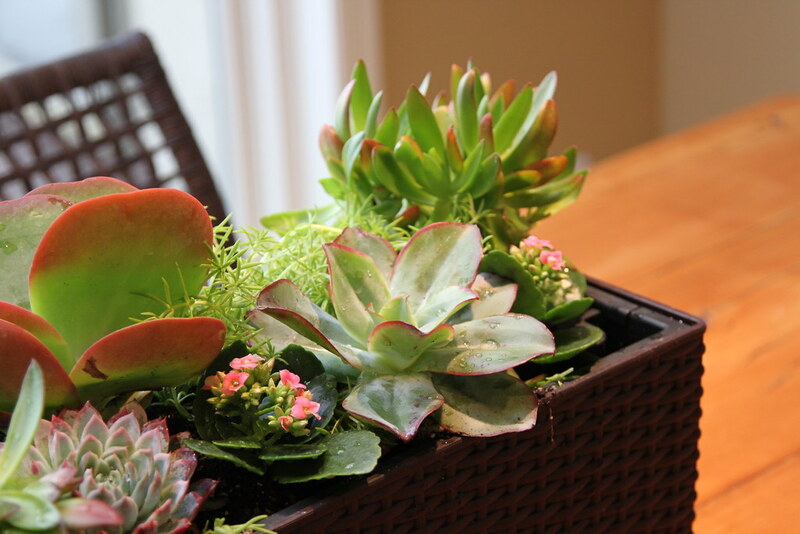 Take some clippings of off your existing succulent plants to freshen up the interior of the house with easy succulent gardens. Be sure to use a well-draining soil like cactus mix and monitor watering carefully as it’s easy to wind up with soil that is moist for a longer than succulents prefer. Consider using ice cubes or misting. You can stuff these arrangements quite tightly and prune as growth occurs. The good news is that clippings can create yet another arrangement so very little goes to waste. Head to the internet and search for online garden map templates for seasonal flowers, vegetable gardens or whatever it is that you wish to plan. Garden maps help forward think how to arrange plants for maximum decorative interest when it comes to height and color. They also help determine how many plants might actually fit into a certain space space based on growing habits. The latter is a measure that encourages accurate purchasing to avoid coming home with too many plants and stay within budget. Make sure to plan for future plant growth and possible additions. It’s also a good idea (and since it’s raining, time just might be on your side) to draw up several plans to be certain you’re happy with the design. 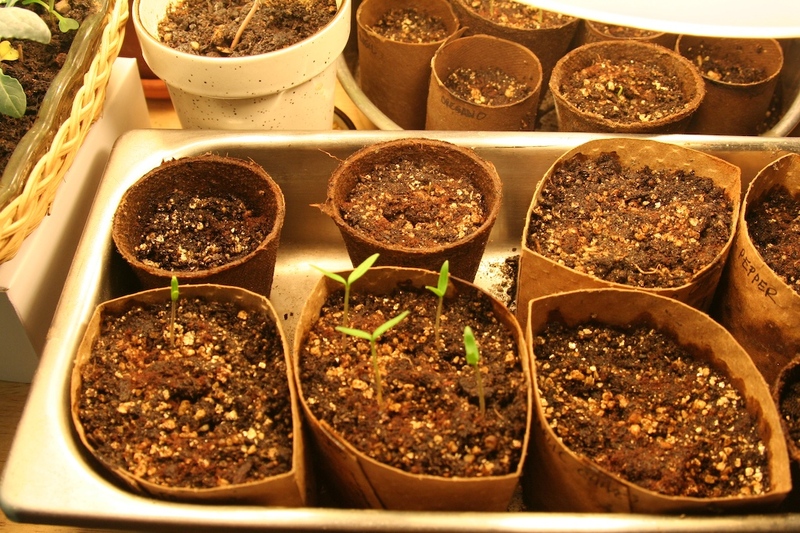 Take empty yogurt containers, toilet paper rolls, egg cartons or any other suitable small pot to start seeds. Need seeds and suitable soil? See our next recommendation. Grab the kids and see what kind of plants you can start with kitchen scraps. There are myriad of options. Celery is among the easiest, simply requiring the white-colored base to soak in sunlight. After about a week’s time, you should notice leaves forming at the base. Cut the top of a pineapple off and soak the cut end in shallow water. Roots should start to appear within a week. You get the picture. Most of our local nurseries have some cover from the elements, providing an opportunity to shop for indoor plants, tools, supplies and whatever you can browse without becoming drenched. The seed packet section is always located in a dry spot as is the potting soil. If it’s a mere San Diego drizzle, dashing out into main plant areas to grab a few pots is likely (much of Armstrong Garden Center’s Morena Blvd location is trellised outdoors). Give the plants a gentle shake to disperse some of the water and remember that most nurseries will offer a plastic cover for the trunk of your car. It’s all good. If you must go outside in a rain coat and wellies, the best possible thing you can do is pull as many weeds as possible. Rain water beats seeds in to the ground and allows them to germinate. This means that most homeowners can expect a resurgence of weeds to begin just a few days after a rain. If you were determined enough to pull weeds during a rain, be sure to lay down mulch that will suffocate future weed growth as soon as possible. Another good idea is to check your now-soaked compost heap. Turn it with shovel to disperse the rain water equally and consider adding dry leaves and grass clippings to soak up some of the water. How do you garden when it’s raining?